Total Energy Ventures (TEV), the venture capital fund of France-based Total S.A. (FP:EPA), has recently acquired stakes in California and Arusha based Off-Grid Electric (OGE) and California based Powerhive to expand its renewable energy business line in Tanzania. The stake’s acquisition seeks to boost OGE’s development of solar home systems and battery storages to power LED lights, mobile chargers and small electronic appliances that are currently providing light to 10,000 new customers each month with the aim to reach the 1 million customers by 2017. 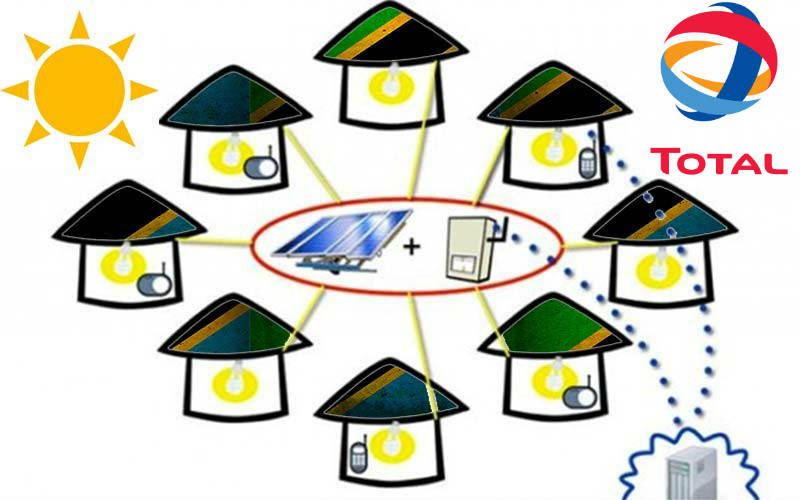 On the other hand, it also seeks to boost Powerhive’s development of operation of solar micro-grids with battery storage and local distribution systems that supply electricity to hundreds of homes in off-grid rural communities in Tanzania and Kenya. The acquisition’s value has not been disclosed by TEV but it is known to be part of a USD 20 million deal lead by Prelude Ventures and that count with the participation of Caterpillar Ventures, Tao Capital Partners, Pi Investments and other private investors according to Powerhive. Both start-ups combine solar power, energy storage and digital customer relationship management to create new distributed energy models and speed up electrification Tanzania, Kenya and other countries in Sub Saharan Africa (SSA), explained Total’s Chairman and CEO, Mr. Patrick Pouyanne. Tanzania is closely working with international private investors and develop partners to boost its power capacity from the current installed 1,754 MW to 2,780 MW by end of 2016 with the usage of clean energy projects according to the US Agency for International Development (USAID). This is why initiatives as the Off-Grid Energy Challenge are being promoted to encourage entrepreneurs in renewable energy to support access to power to rural communities by the implementation of solar-powered mini-grids and home solar systems. Total Tanzania Limited, subsidiary of Total S.A., was incorporated in 1969 and currently manages a diversified portfolio including petroleum products, heavy fuel oil (HFO), lubricants and renewable energy generation. According to Bloomberg, Total is planning to invest USD 500 million a year to expand its business line of biofuels and solar power generation to tap the fast growing renewable market in Tanzania and other countries in East Africa.